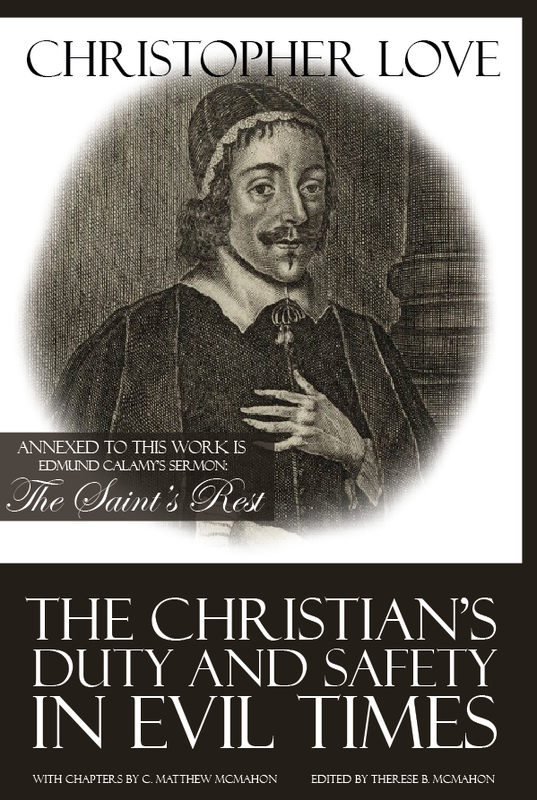 One of the best and most simple puritans that you'll ever read. New Inn Hall, Oxford, against the wishes of his father, but supported by his minister and mother. 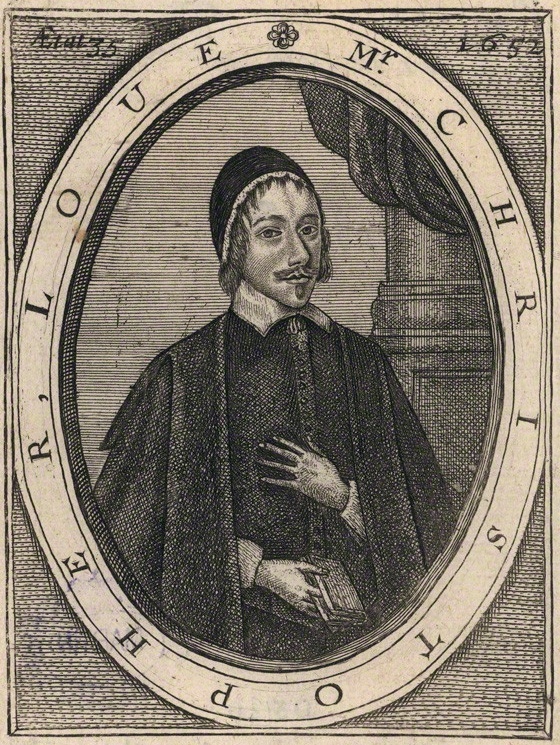 While at Oxford, Love was tutored by Dr. Christopher Rogers, a man with Strong Puritan leanings. Love pastored in London after several short stops along the way. Before he assumed the pastorate of St. Lawrence Jewry in London, Love catechized and taught theology to the children of the sheriff of London. He married Mary Stone, the daughter of a London merchant, whom he met while they were both employed by Sheriff Warner. They had five children, two girls who died early in life, and three boys, the last who was born a week after Love’s death. Love, a Presbyterian, obtained ordination in the Church of England after much difficulty. He would have had it easily in Scotland, but not without leaving England to live in Scotland, which he was loathe to do. Because of his political leanings and involvements, he was arrested by Oliver Cromwell’s forces for his alleged involvement with a plan to raise money for the restoration of the monarchy, a charge Love denied. He was arrested along with six other prominent ministers in London (all Presbyterians, the venerable Thomas Watson being the most noted), for treason. The rest were released after six months; Love was beheaded on Tower Hill, London on August 22, 1651. 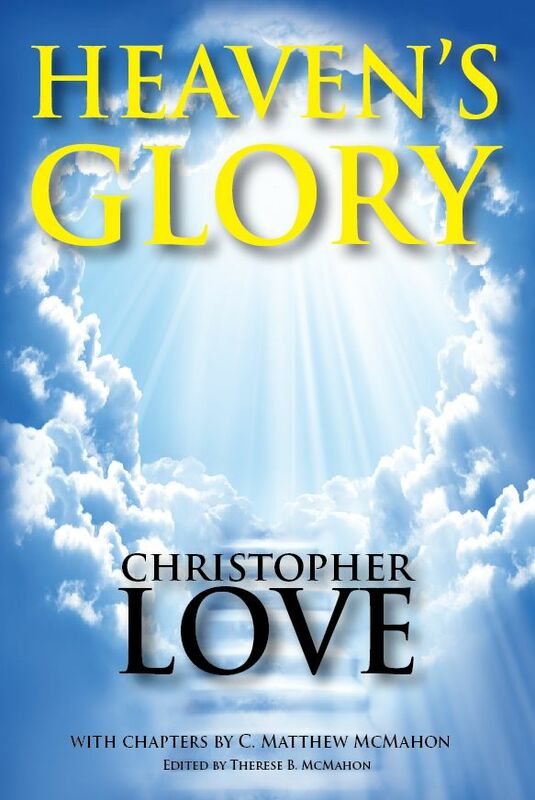 For a more detailed account of his life, read The Last Words and Letters of Christopher Love. This volume has never been published since the time Love’s executors distributed it in 1653. 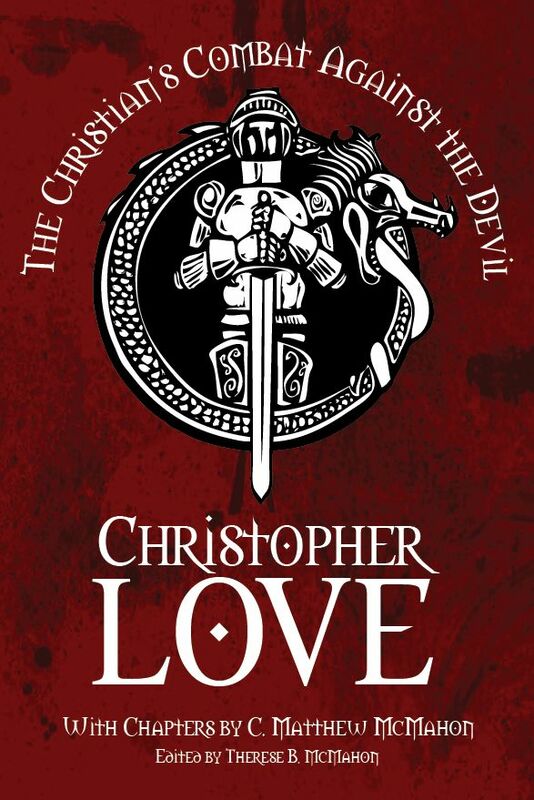 To have this particular volume in print is to have the very last of Christopher Love’s available works for publication. Get the printed books HERE at our Spotlight Page for Puritan Publications. “The debauched Cavalier, or the English Midianite,” 1643. “England’s Distemper, having Division and Error as its Cause, etc. Together with Vindication of the Author from…aspersions.” London, 4to, 1645; having affixed the sermon preached at Uxbridge. “Short and plaine Animadversions on some Passages in Mr. Dels’ Sermon,” 4to, London, 1646, 5nd edit. 1647. “An Answer to an unlicensed Pamphlet,” 4to, 1646, written in answer to the above. “A Cleare and necessary Vindication of the Principles and Practices of Mr. Christopher Love,” etc., 4to, London, 1651. His posthumously published petitions and narrative to the parliament, speech and prayer on the scaffold, and letters to his wife, were published in various unauthorized books in 1651. He also appears as editor, and may have been author, of “The Main Points of Church Government and Discipline,” London, 1649, 12mo. “Grace, the Truth and Growth and Different Degrees Thereof (fifteen sermons),” 1652, 4to, and 1810. 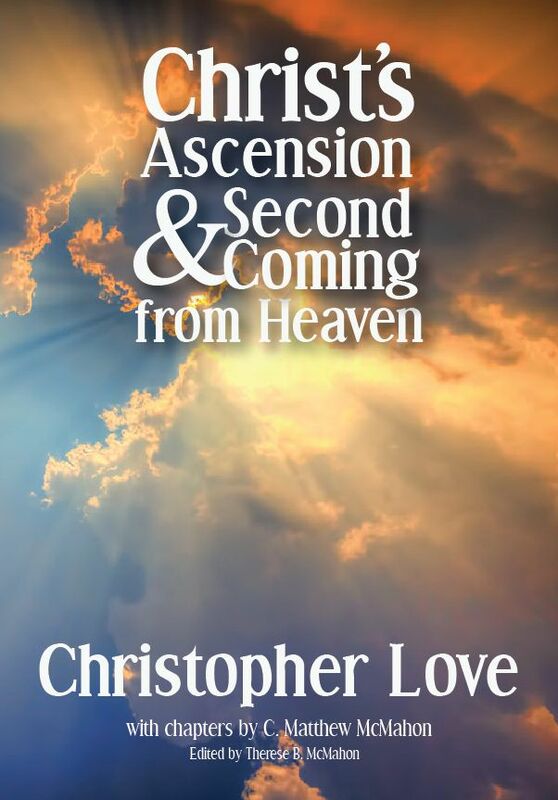 “The Soul’s Cordial, in two Treatises: (1) How to be eased of the Guilt of Sin, (2) Discovering Advantages by Christ’s Ascension” (twenty-two sermons), 1653. “A Treatise of Effectual Calling and Election,” 1653. “The true Doctrine of Mortification and Sincerity, in opposition to Hypocrisy,” 1654. “The Combat between the Flesh and Spirit” (twenty-seven sermons), 1654. “The Sum or Substance of prelatical Divinity, or the Grounds of Religion in a catechistical Way,” 1654. “The dejected Soul’s Cure, in divers Sermons,” 1657. “The Ministry of Angels to the Heirs of Salvation,” 1657. “The Sinner’s Legacy to Posterity,” 1657. “The natural Man’s Case stated, or an exact Map of the Worldly Man” (seventeen sermons), 1658. “The History of the Holy Bible,” 1783. His “Select Works,” Glasgow, 2 vols. 8vo, appeared in 1805, and “Remains” (with life), London, 12mo, in 1807. *These works have been published by Puritan Publications.